At The Fringe is an international arts festival taking place in Sweden for the sixth time! For eight days in July, practitioners from Sweden and other countries working with different disciplines - visual art, literature, dance and film - will meet and conduct around 70 events (exhibitions, screenings, performances, lectures, workshops, meetings). Honouring its roots of a literature and poetry festival and its focus on all those forms of art that stays at the fringe of disciplines, genres and styles, the film festival At The Fringe is happy to present its new call for films! 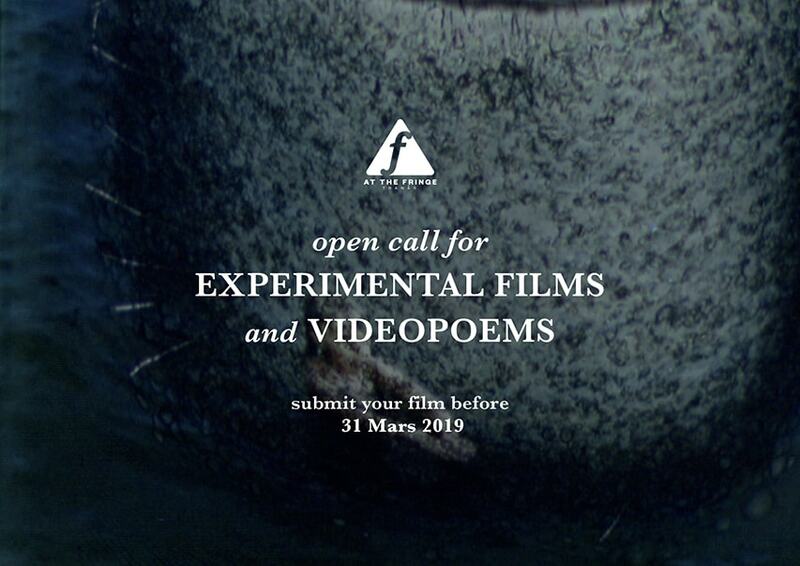 MAGMA - OPEN CALL FOR EXPERIMENTAL SHORT FILMS: By definition, magma is a burning matter, blend of liquid and gaseous substances in a continuous state of agitation under the surface of the Earth. We are seeking for magmatic forms of audiovisuals, unconventional moving images that burn on the screen, breaking with common rules of aesthetics and narrative. GEMS - OPEN CALL FOR VIDEOPOEMS: A collection of precious stones. We are seeking for videopoems, those films that stand on the border between audiovisual languages and words - written or performed. We are a small arts festival from the south of Sweden. We created this open call for experimental films and videopoems for the next edition the festival. We would be glad to publish it on this website, thanks! !